Determining the best candidates for Natural Area protection is a complex process. Natural area conservation planning focuses on areas of high biodiversity. We use the following tools, concepts and resources to evaluate and manage sites. Minnesota's biodiversity has evolved over millennia into complex ecosystems. A myriad of species interact with each other and environmental factors such as soils, topography, hydrology and climate within these ecosystems. In areas where biodiversity is threatened, losing species can affect the ecosystem's ability to function properly and provide these services. Maintaining biodiversity reduces voids and the entire ecosystem maintains a higher degree of resilience. Conservation planning for natural areas focuses on areas of high biodiversity as well as habitats for rare species. The SNA program is using both strategies for resilience to maintain Minnesota's biodiversity. 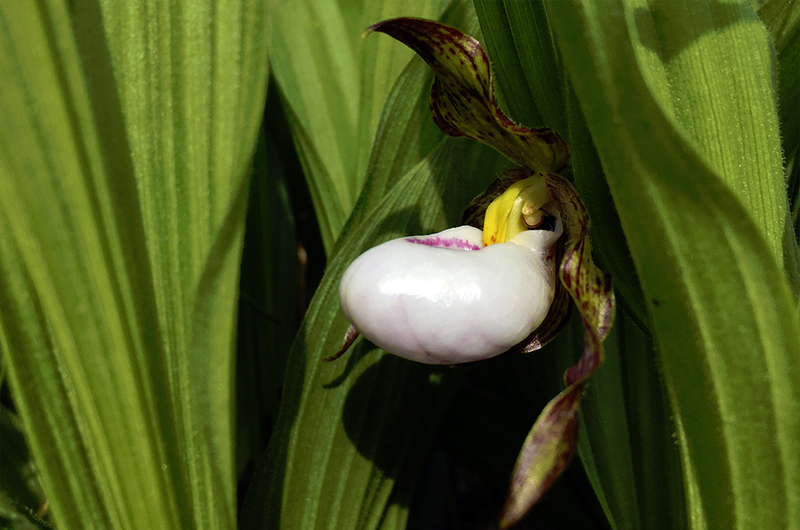 A rare small white lady's-slipper. Ecologists help classify native systems. 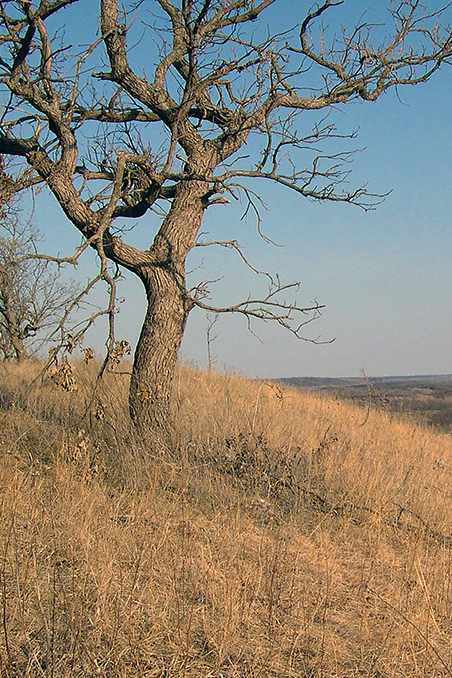 Oak savannas, like this one on a Minnesota Native Prairie Bank, are exceedingly rare. Biodiversity significance is a ranking based on the size and condition of native plant communities and how they fit in an ecological landscape. It also includes the presence or absence of rare species populations. The rankings are 'outstanding', 'high', 'moderate' and 'below'. Ecologists with the Minnesota Biological Survey determine this status. This ranking is used to help prioritize Natural Area protection efforts. Ecological landscape classifications are used to identify, describe, and map progressively smaller areas of land with increasingly uniform ecological features. Minnesota's Ecological Classification System (ECS) uses biotic and environmental factors, including climate, geology, topography, soils, hydrology and vegetation. The largest units of the ECS are provinces and are defined primarily by climate. Minnesota has four provinces. Provinces are divided into 10 sections based on glacial deposits, topography and plant distributions. The 26 subsections of the ECS are further refined by local vegetation, especially trees, among other factors. Individual Scientific and Natural Areas note the subsection in which they are located. 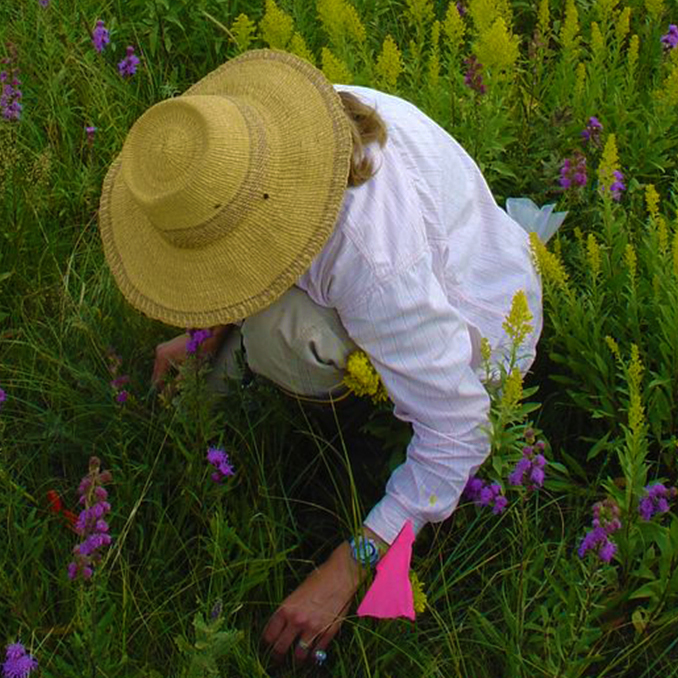 Native plant communities are a finer grading of the classification system. Local groupings of trees, shrubs, grasses and forbs that interact with each other and their environment are called native plant communities and are characterized by the kinds and quantities of species they contain. They form recognizable units, such as oak savannas, pine forests, cattail marshes and other communities that tend to repeat over space and time. Plant communities are subject to change. They form in response to climate and nutrients, as well as catastrophic flooding and fires. In the absence of change, they can be fairly stable over time. However they can also develop into something complete new. For example, a beaver dam can cause significant flooding and as a result, over a period of time, a new community will form in the flooded area. Places where native species have been largely replaced are no longer considered native plant communities. Rare species, are defined under Minnesota law as endangered, threatened, or of special concern. The DNR identifies which species are at greatest risk of disappearance. The law restricts harming those species that are designated as endangered or threatened. Natural Areas protect critical habitat for these rare species. You can learn more about the tools, concepts and resources the program uses for protection in the Strategic Land Protection Plan.